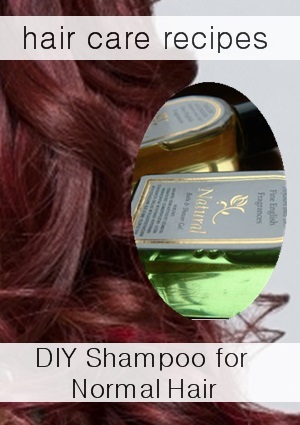 Natural Shampoo Recipes: How to make shampoo for normal hair. Need to shop for Supplies? Here's how to make these shampoo recipes: Mix together all the ingredients. Store in a bottle. Use as you would any shampoo. Shake bottle before each use. If shampoo is too drying, add more oil. You might have to play around with the recipes to get them to be a perfect match for your hair. If you're going to make your own shampoo, take into account what your hair needs. The following shampoo recipes are for normal hair. What's normal? Hair that hasn't been chemically treated and isn't too oily or dry. Most of these recipes do not have a carrier oil added. If you find the shampoo is too drying or your hair is still tangled, simply add a oil such as Jojoba, Argan Oil, or Coconut Oil. 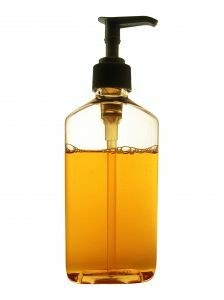 Read more about which carrier oils work best in homemade shampoo and learn more information on how to make your own natural shampoo with more recipes. 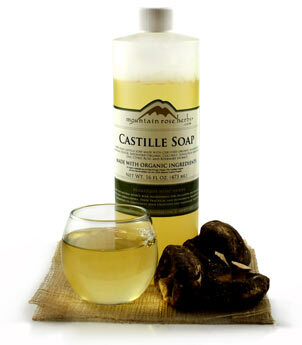 Castille Liquid Soap: A truly luxuriant, extra mild and gentle liquid soap made from certified organic ingredients. No harsh chemicals, additives, colorants, sudsing agents or other ingredients, just pure derivatives from plant sources. Great for the face, body, as an all purpose wash, and it makes a wonderful base ingredient for your own soaps and shampoos. Contains: water, organic Coconut oil, organic Sunflower oil, organic Castor oil, potassium hydroxide (none remains after saponification), citric acid, and Rosemary extract.